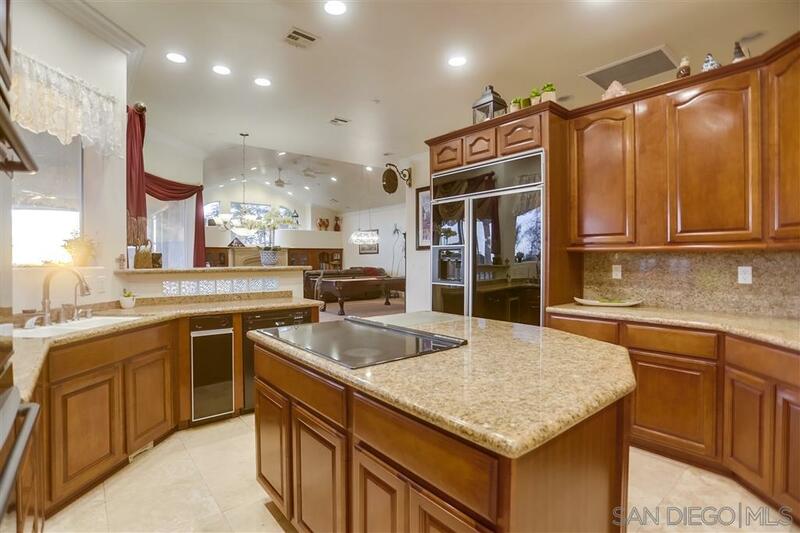 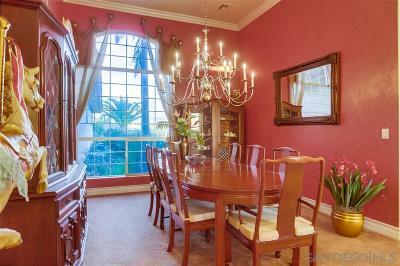 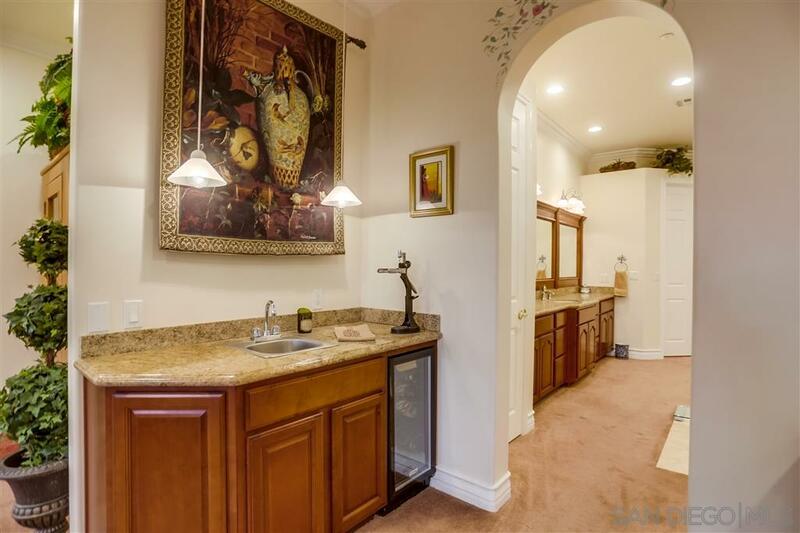 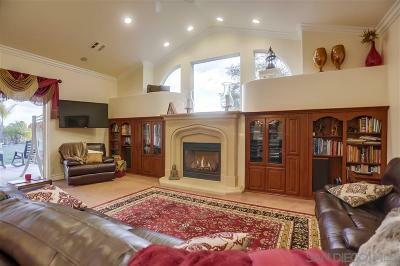 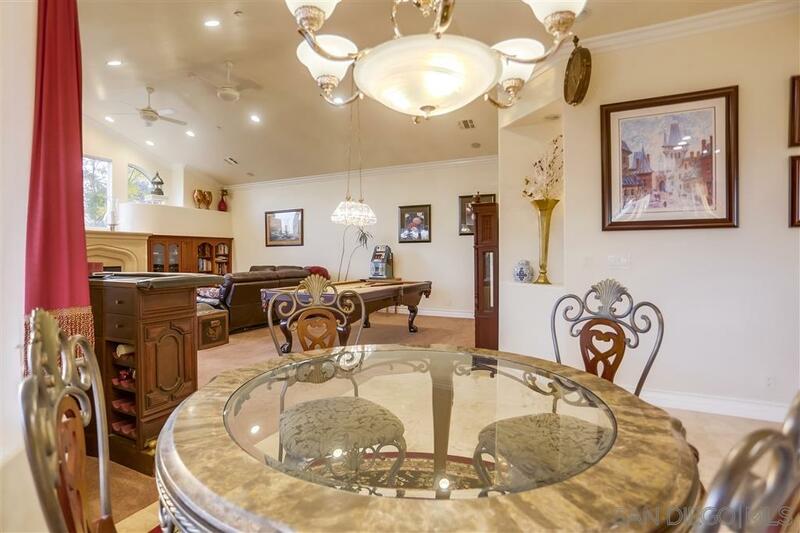 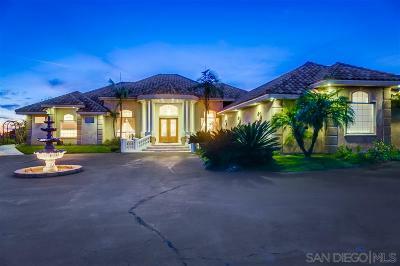 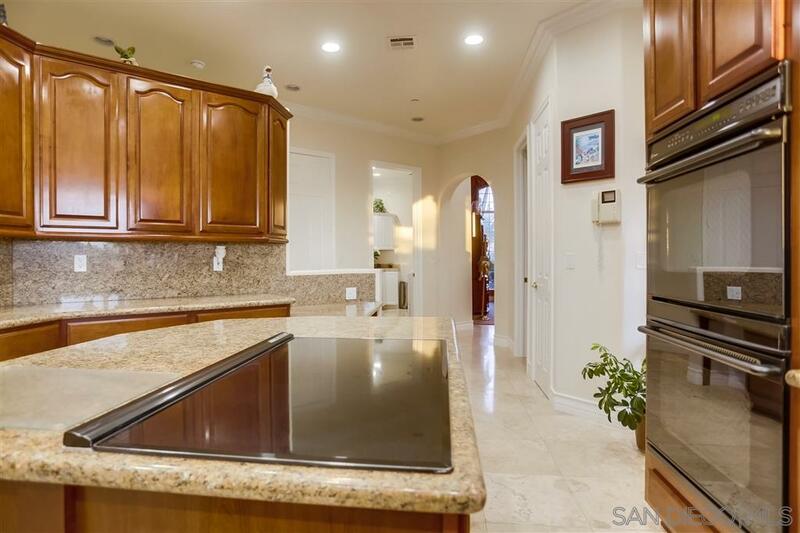 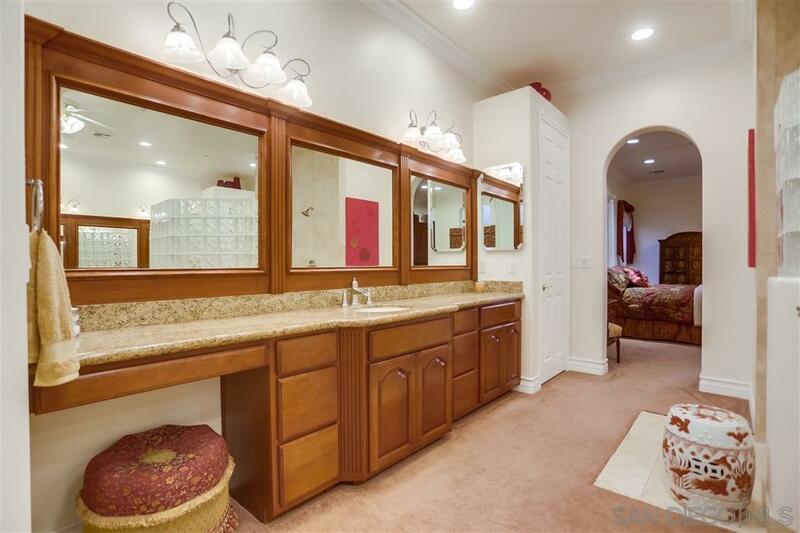 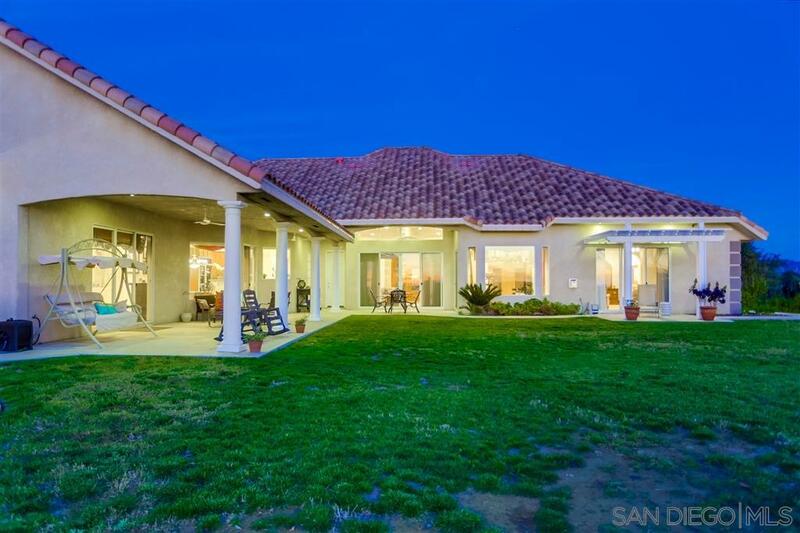 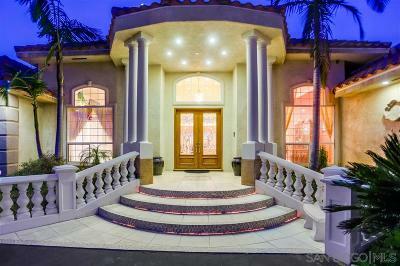 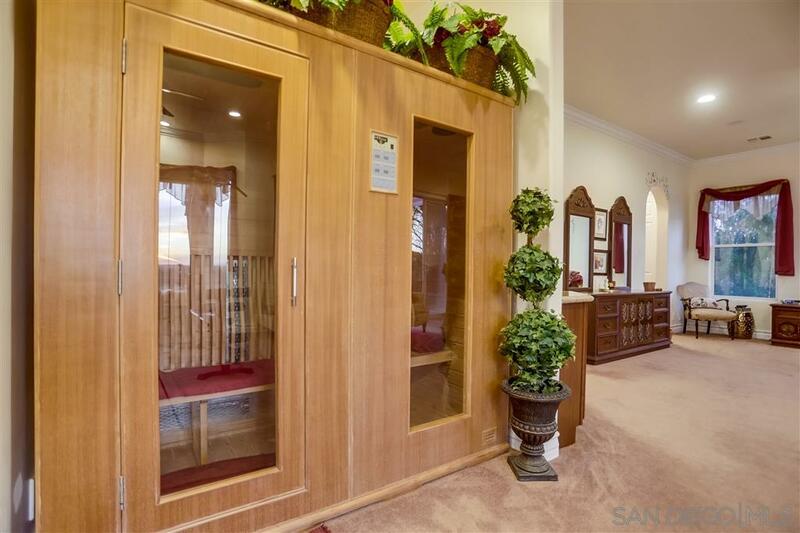 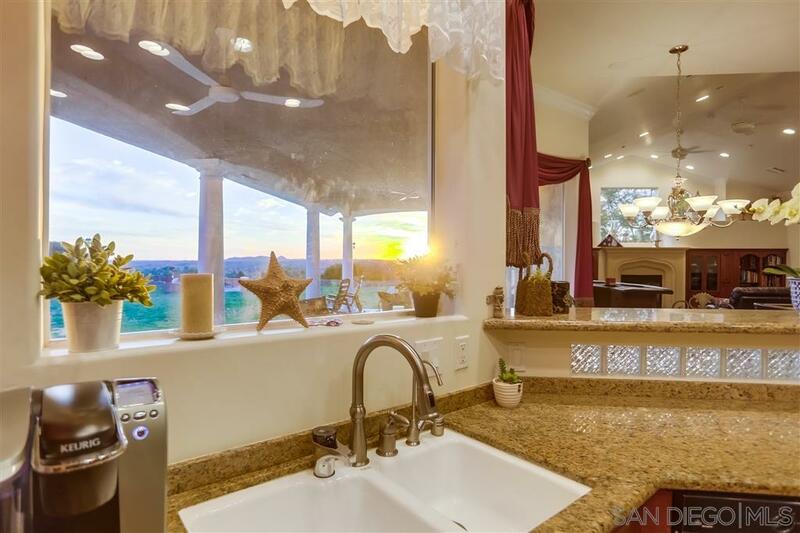 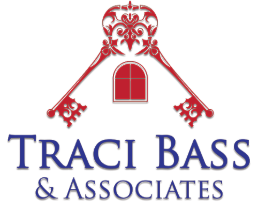 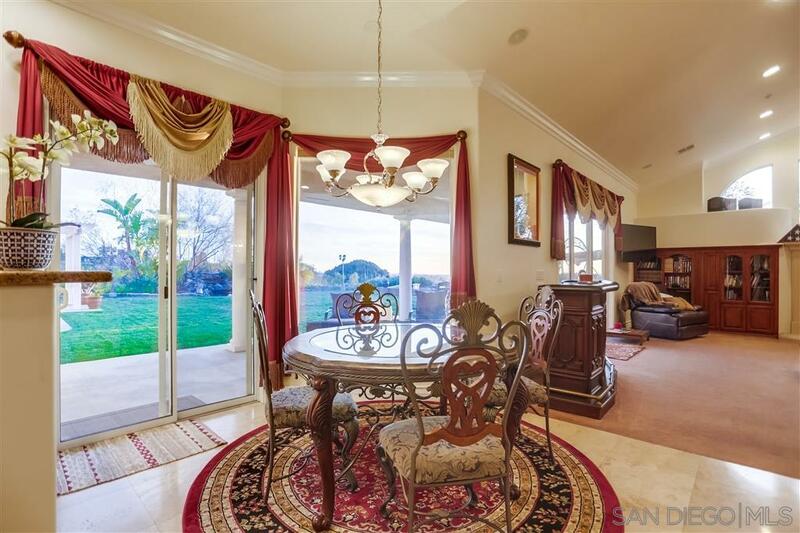 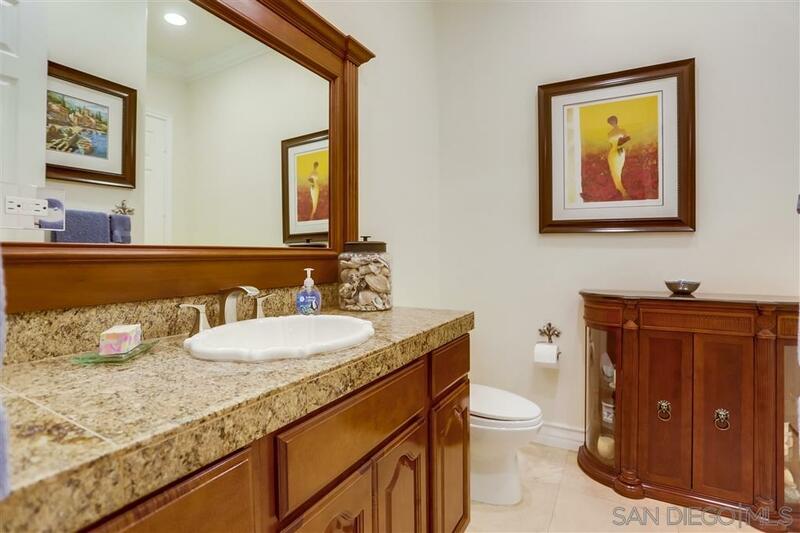 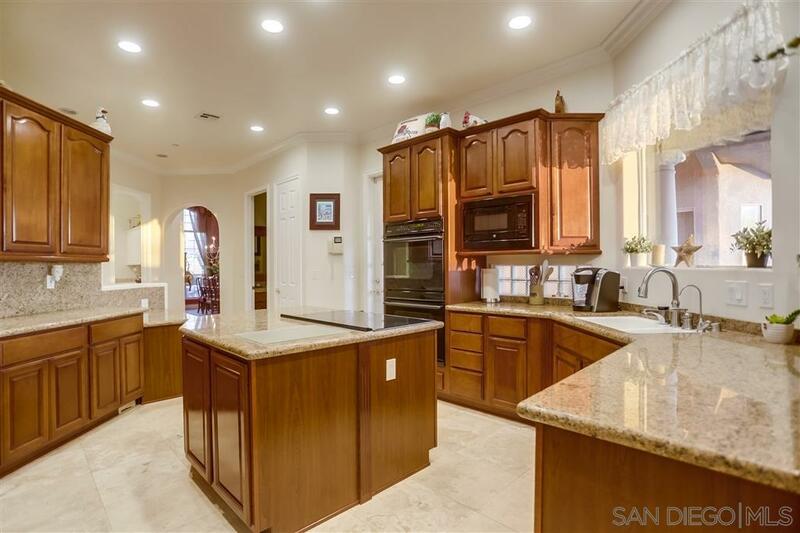 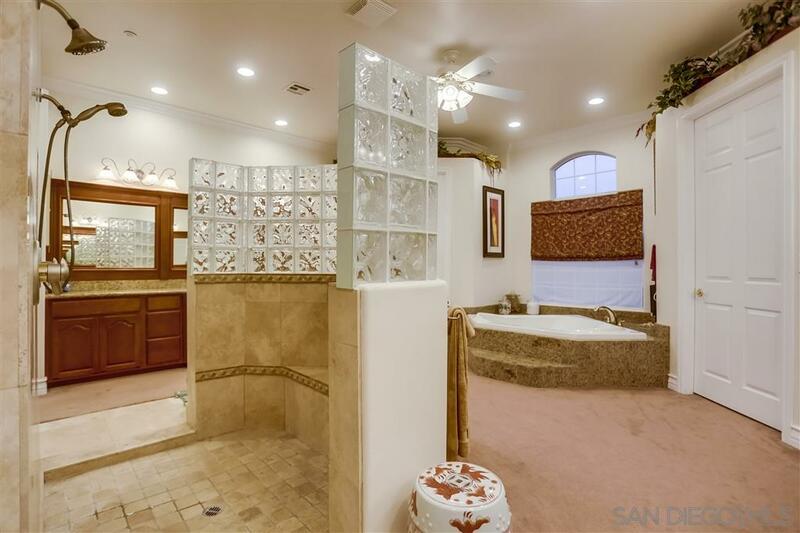 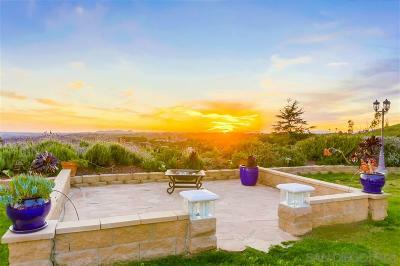 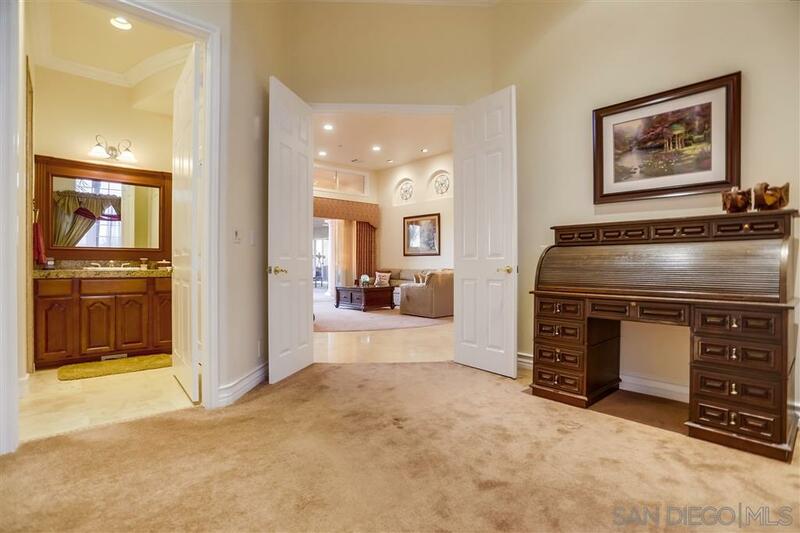 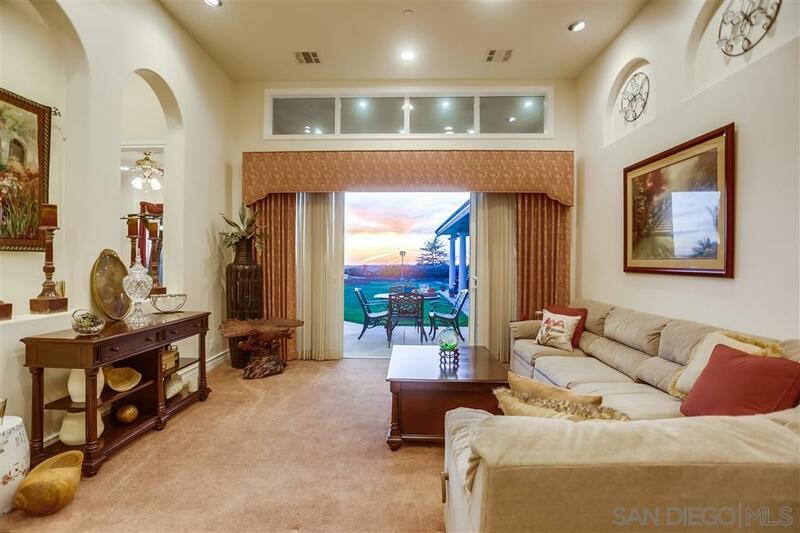 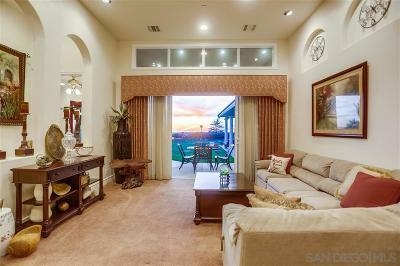 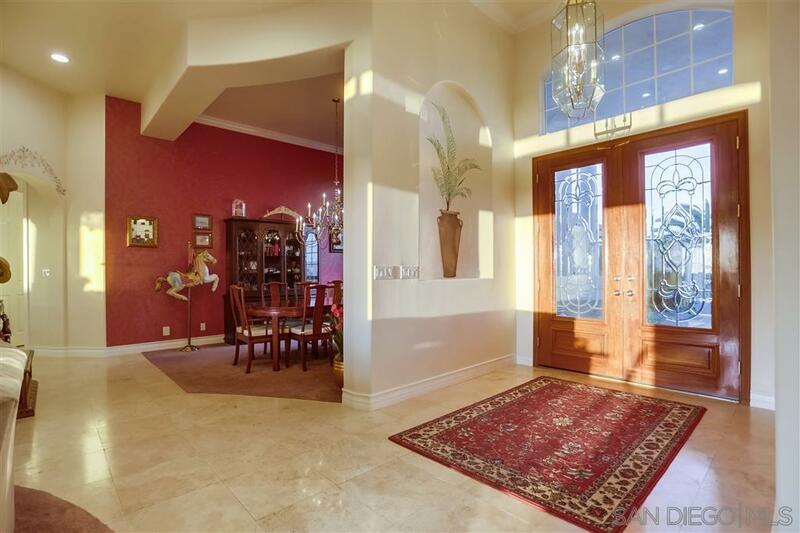 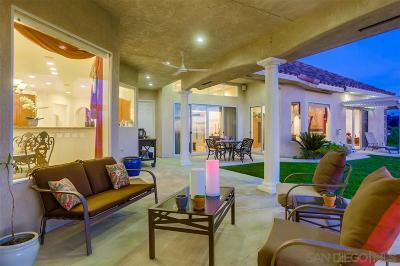 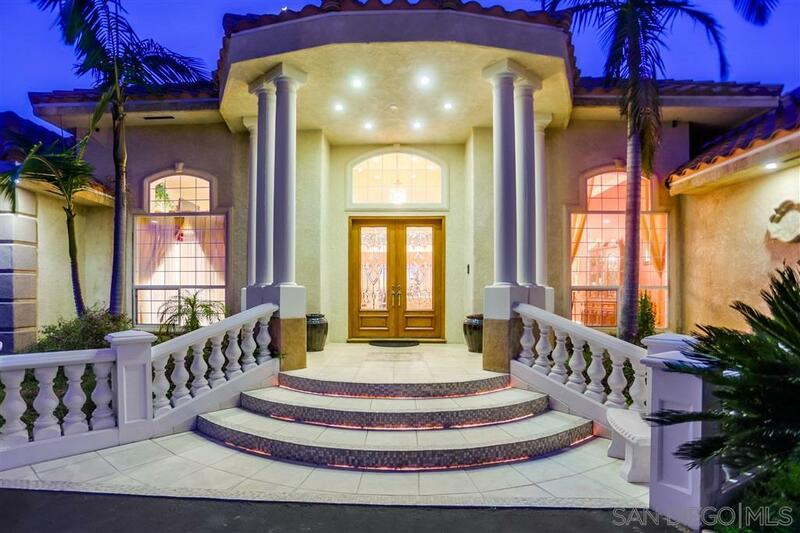 Gated elegant home with a private drive that winds through lush avocado trees/vineyard. 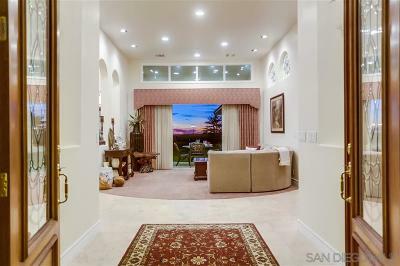 Sited among some of the region's finest homes, this elegant 2.43 acre features panoramic views, solid construction, vaulted ceilings, circular car park. 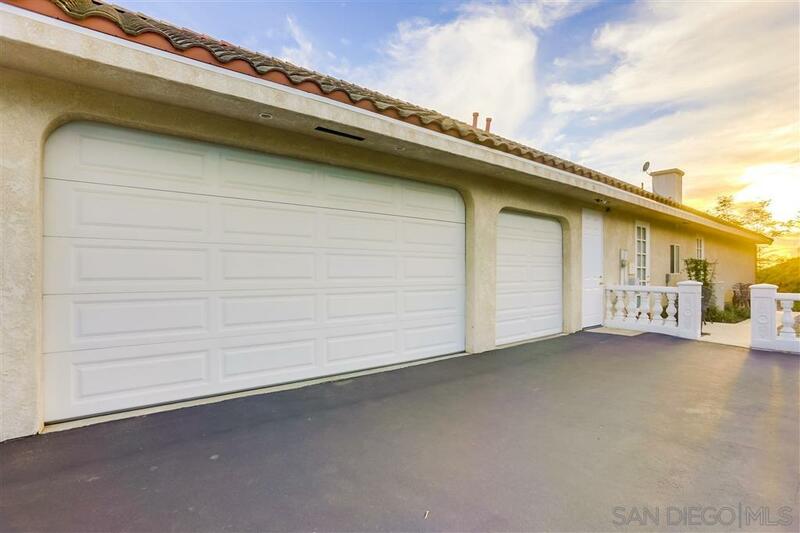 Rare 6 car garage is perfect for car collectors, toy storage, RV, shop or artist's studio. 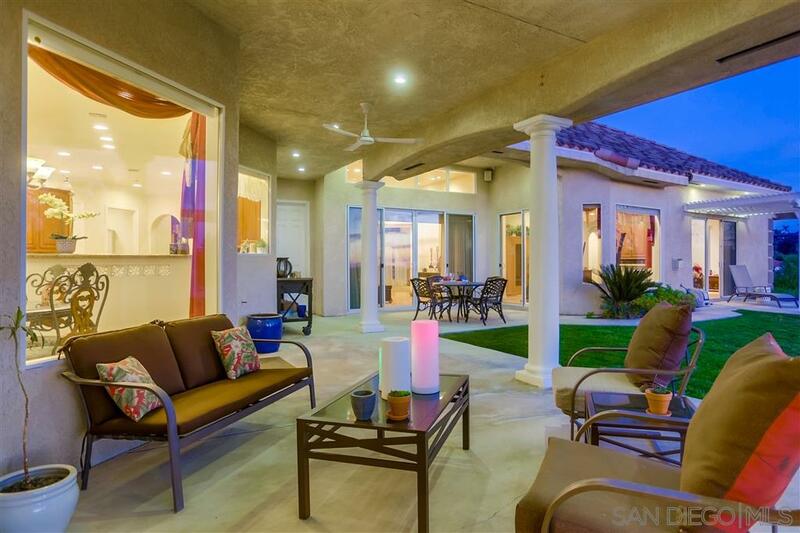 Great room connects to extra-large kitchen with center island, granite tops, decorative glass block and accent lighting., Designed for indoor/outdoor living the exterior features 1,100ft of covered patio. 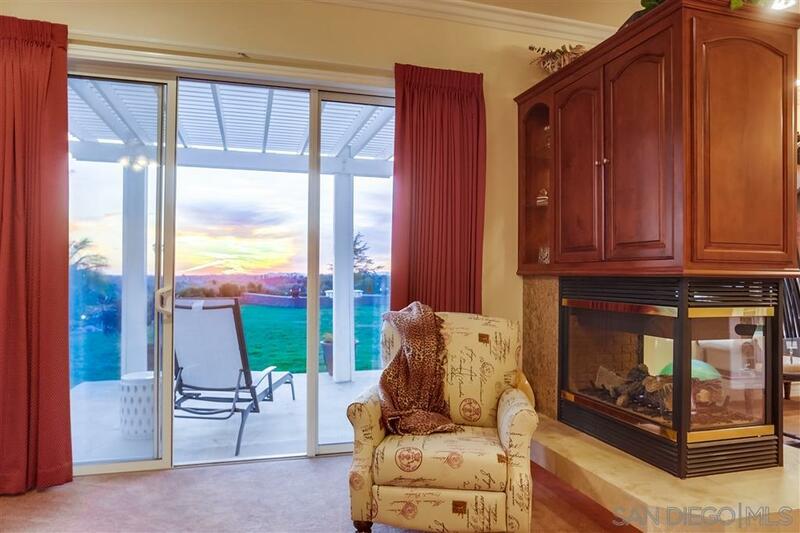 Ample yard space and built in BBQ station with sink, refrigerator and trash pullout all looking out to sweeping panoramic views for miles. 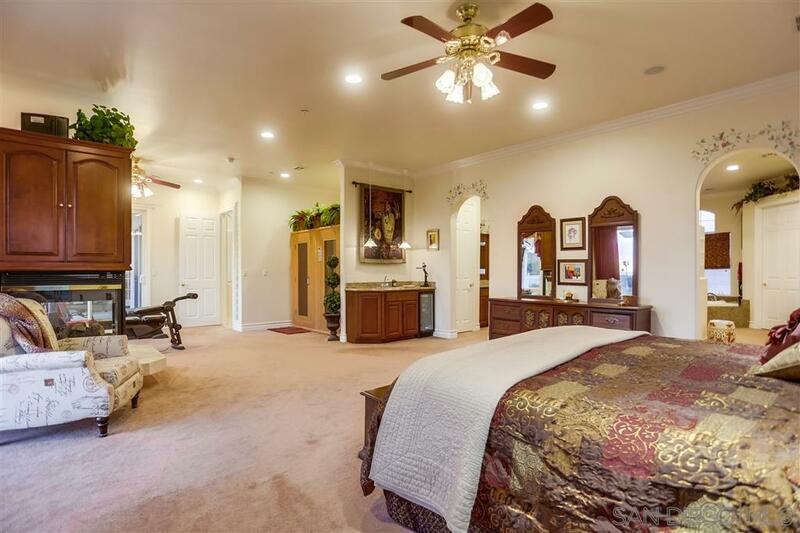 Two water heater tanks with insta hot.